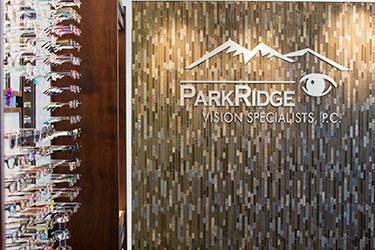 ParkRidge Vision Specialists was founded by a husband and wife team who met on the first day of class in Optometry school. Drs. Jeff Marlatt and Michelle Sancho take pride in treating each patient with compassion and high quality patient care. Our practice strives to be different from many eye care professionals, one of the many differences you’ll find in our office is longer one on one time between patient and doctor. We never want our patients to feel rushed and hurried. We also do our best to make you feel at home and welcomed in our office. Our staff is cheerful and friendly. We want you to enjoy the time you spend with us. We love coming to work and we want you to know it. Our doctors and staff work hard to help educate patients on what is best for their personal needs without high pressure sales and tactics. We stand behind the quality of our frames and lenses and do the research for you on what the most current options are for our patients. Our highly trained Optical staff has years of experience in the industry and stays current on education, innovation and fashion. We have the most current contact lens options for you in our practice, from Daily Multi Focal Contacts to Scleral Lenses for the treatment of Keratoconus our office is confident you will leave with the best vision for you. Our Technicians are certified Para-Optometrics with advanced training on the eye and optometry related issues. Each wonderful person on our staff is happy to help you in any way we can. We happily treat patients in all aspects of life, from childhood to geriatrics. Our doctors specialize in hard to fit contact lenses for the treatment of Keratoconus and other eye disease. Dr. Marlatt is also, “the Doc that Shoots” and helps many sportsman find the right optical correction for hunting, shooting and multiple other outdoor sports. We work alongside many other medical practices to help manage Diabetes, High Blood Pressure, Cataracts, and Lupus to name a few. Constant communication between your doctors can help to keep you healthier and happier. Many MD’s in the area refer to our doctors to help them manage and treat patients. We look forward to helping you have the best vision for you.